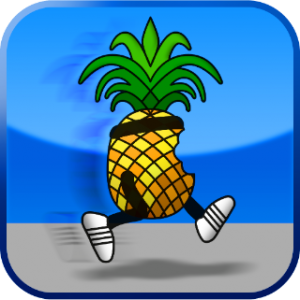 Redsn0w Jailbreak BETA for iOS 4.1 iPhone 3G and iPod Touch 2g | Johns iPhone | iPhone Blog with Help, News, Tutorials, Tricks, Tips, and More! I have received many emails about how to jailbreak iOS 4.1, currently there is only a jailbreak for the iPhone 3G, and iPod Touch 2g using the Redsn0w tool. The jailbreak for 4th generation devices such as the iPhone 4, iPod Touch 4, iPad and Apple TV is right around the corner and will be released on October 10th. 3. Launch redsn0w which you just downloaded. 4. Select the firmware 4.1 you just downloaded. 5. Select “install cydia” and any other options you would like. 6. Click next, then follow the on screen instructions. 7. Watch your iPhone or iPod Touch get jailbroken and enjoy! Is this going to be a tethered jailbreak? Does it work on iPhone 3gs as well?? I have a question about the redsnow jb i have a ipod touch 2gen mc model but i keep getting stuck while im jailbreaking my ipod got any tips? How to unlock 3G ios 4.1. I jailbroked using redsnow. hey how do i unlock an iphone 3g having ios 4.1? hi John, thank you. i did all you said and it worked fine, i got iphone 3g with 4.1 iso. worked just like u said. I did follow all the instructions above. I did download the redsn0w and the firmware 4,1 for my iphone 3g. The only problem is that i can not get to find the ipsw file when i get to the “browse” step. There is just a bunch of files with dmg extension. I am running windows 7 on my pc and i wonder if that may be the issue. Excellent read, I just passed this onto a colleague who was doing a modest study on that. And he in fact decided to buy me lunch mainly because I found it for him .So let me rephrase that: Thx for lunch! Hello. Good job. I did not expect this on a friday night. This is a excellent story. Thanks! Hi John thanks for all the good stuff …i was not able to jailbreak my iphone 3g with redsnow i did everything u said but when it came to chose the firmware i broswered but it didnt show i downloaded and save it it took about 40 min but it didnt worked. Do this links still good? or may be i did something wrong please let me know thanks.